Pools, lakes, beaches… Summer and water play go together like peanut butter and jelly. But when you have a young child, water time can feel intimidating. It can be dangerous, and many children are understandably fearful — and this doesn’t make for a very fun time for mom and dad. 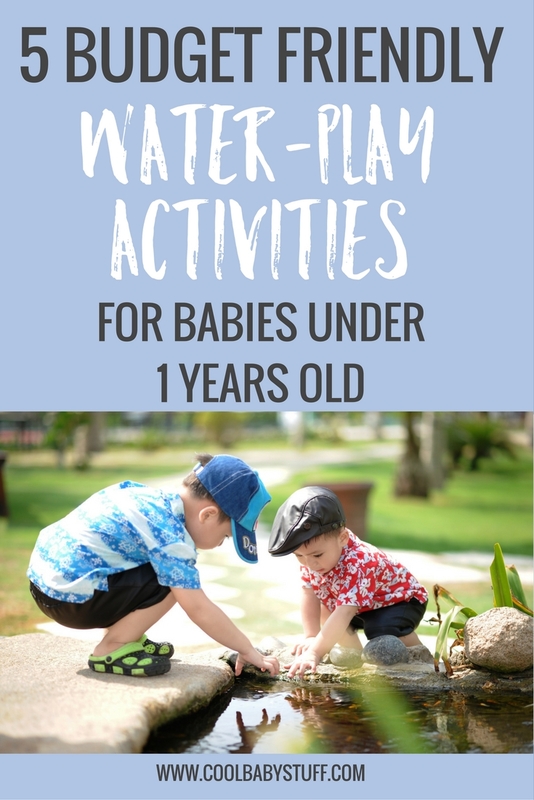 However, there are lots of ways to have your child play with water that are safe, easy, and inexpensive — and right in the comfort of your own home. 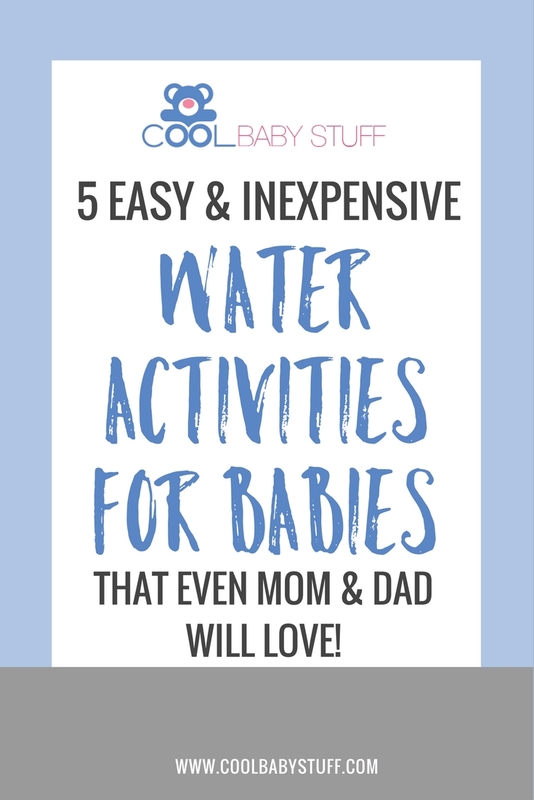 Check out these water activities for babies that are simple for you but buckets of fun for baby! This activity is great for babies who are not able to sit up yet, because they can enjoy it while lying on their tummies! Simply pour water onto a cookie sheet and place baby in front of it so that they can splash around. You can also add some of their favorite bath toys, or let them play with baby-safe kitchen utensils like plastic measuring cups and spoons. Place a towel underneath the tray for an easier cleanup. Most babies have a mysterious fascination with ice. Spur on their imagination by mixing food coloring into ice and then letting them handle the cold cubes. You can put the ice on the ground outside, or dump into a bowl of water. You could even put them on paper and watch the color streak the pages. Either way, they will be mesmerized by the cool colors as they melt in their hands. A water table is most ideal for babies that can stand, but it can be modified for younger babies too. There are several great options online and in stores, or you can make your own simplified version with a plastic bin and some toys. Water beads are a really fun and fascinating sensory material that are loved by kids of all ages. However, they tend to go right into their mouths! A perfect alternative is to make your own edible water beads by using tapioca balls. Mix them with some shaving cream or throw them in a bowl of water for an even more exciting time! Spice up your normal inflatable pool time by simply adding bubbles! Baby will love splashing and grasping at the white foam. Put some toys in the pool for them to discover underneath all the bubbles, and show them how to blow the bubbles out of their hands. Hey, this could also count as their bath for the day, so really this is a win-win! Water activities for babies can be exciting! As baby gets more comfortable with the water, all of the usual summer activities will become even more fun for you both. So grab a towel and don’t be afraid to get wet!